I could be really, really wrong about this. But I think we've found what we are migrating toward ... we thought it was to mobile/social, and that (me included) was wrong.. Think about this ... 15 years ago, E-Commerce was in the process of replacing Catalog Marketing. In other words, they keyboard replaced paper. 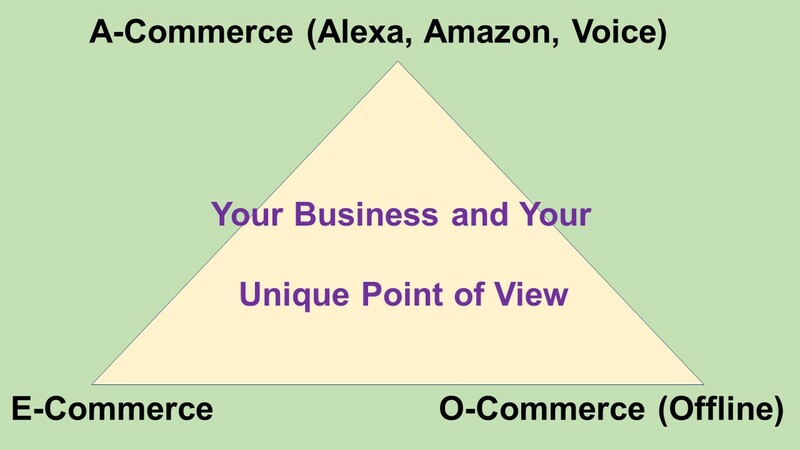 Today ... A-Commerce (Alexa/Amazon and voice via Siri/Google) is in the process of replacing E-Commerce. In other words, voice is replacing the keyboard. 15 years ago, those being replaced (Catalogers) quickly responded by tethering the old business model to the new business model (multi-channel and later, omnichannel). As you know from experience, tethering is a short-term solution that misses the long-term trend. Today, those being replaced (E-Commerce) are responding by tethering the old business model (E-Commerce) to the new business model. The problem, of course, is that Amazon / Google / Apple control voice, Amazon controls a third of E-Commerce, and Google / Facebook control traffic. 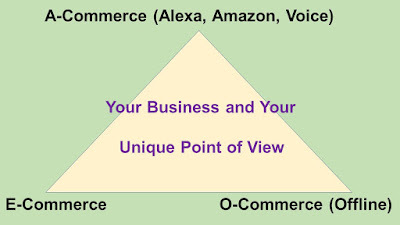 So A-Commerce is fundamentally different than E-Commerce in that gatekeepers control voice. So even if you are a classic E-Commerce brand with an A-Commerce strategy, you have to go through a gatekeeper to employ the A-Commerce strategy, thereby weakening your brand while strengthening the gatekeepers. This is why A-Commerce is different than E-Commerce. In E-Commerce, you largely controlled your experience. In A-Commerce, the gatekeepers control the experience. This makes having a Unique Point of View even more important than before. How do you think A-Commerce will evolve? Send me a message (kevinh@minethatdata.com). I'll publish good responses.